3M and its predecessor, Aearo Technologies, sold defective Combat Arms Earplugs, version 2 (CAEv2) to the U.S. military between 2003 and 2015. These were standard issue devices provided to thousands of servicemembers. The CAEv2 earplugs may have caused permanent and significant hearing loss or tinnitus to military personnel including those who were deployed to Afghanistan or Iraq. 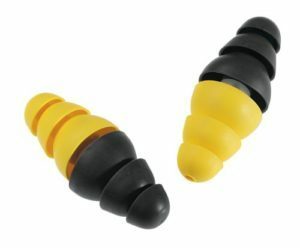 The CAEv2 were dual-ended earplugs with one yellow end and one black end. The differing sides were designed for one end to block all sound while the other end would block loud noises while still allowing servicemembers to hear verbal commands. It is alleged that 3M and Aearo Technologies, Inc., knew the earplugs were too short for proper placement into servicemember’s ears. Due to this defect, the earplugs would gradually loosen, without the user’s knowledge, until they failed to provide adequate noise cancellation. It is believed that as early as 2000, Aearo Technologies was aware that the CAEv2 did not show any noise reduction benefit. In July 2018, 3M agreed to pay $9.1 million to resolve allegations by the United States Department of Justice that 3M knowingly sold the CAEv2, without disclosing the defects. However, this settlement will not compensate injured servicemembers. Military personnel who have been harmed by this product must file a civil lawsuit to be compensated for their injuries. We are pursuing lawsuits against 3M, not the U.S Government. Military servicemembers who have been harmed by this product should not have to suffer the lasting effects because of the manufacturer’s negligence. Anapol Weiss has an experienced team of 3M military earplug attorneys who will fight on your behalf for fair compensation.